This spacious new home design in Indigo is perfect for family as well as guests. The Neal Communities home includes a guest room with ensuite bath and walk-in closet, a luxurious master suite and two secondary bedrooms. An open leisure room can instead be a den with French doors. The foyer and gallery entry makes an elegant impression and leads to open great room, kitchen and dining nook area. The great room with coffered ceiling offers views out to the sunny covered lanai, where you can add an optional pool bath. A large island and walk-in pantry make the gourmet kitchen especially accommodating. 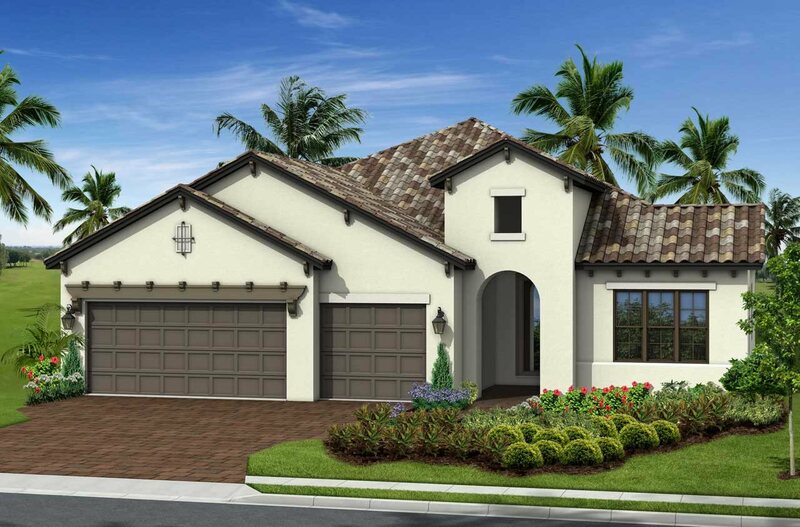 In the comfortable master suite you’ll find a bedroom with coffered ceiling and optional door to the lanai, two walk-in closets and bath with dual sink vanities, shower, optional garden tub and private water closet. Visit this beautiful neighborhood in Lakewood Ranch and imagine your future here. Call to learn more and schedule your appointment.